DAVID LE/Staff photo. 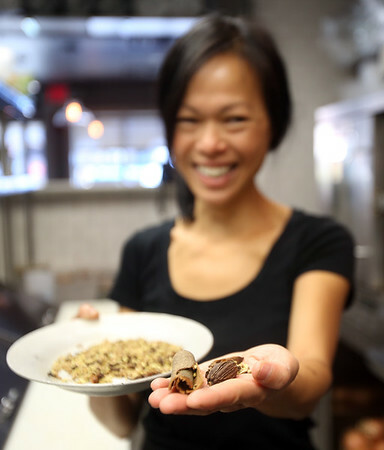 Sa Nguyen, co-owner, and head chef of Soall Bistro in Marblehead, displays some of the toasted spices, including star anise and cinnamon, that she uses in her beef pho. 10/8/15.